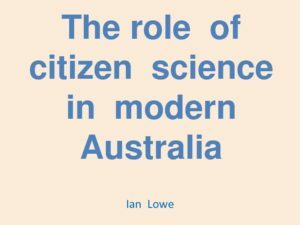 Three members of the Royal Society of Queensland delivered presentations at the forum “Citizen Science: Challenges and Benefits for Biodiversity Conservation” held on 11 August 2018 by western suburbs-based The Hut Environmental and Conservation Association. 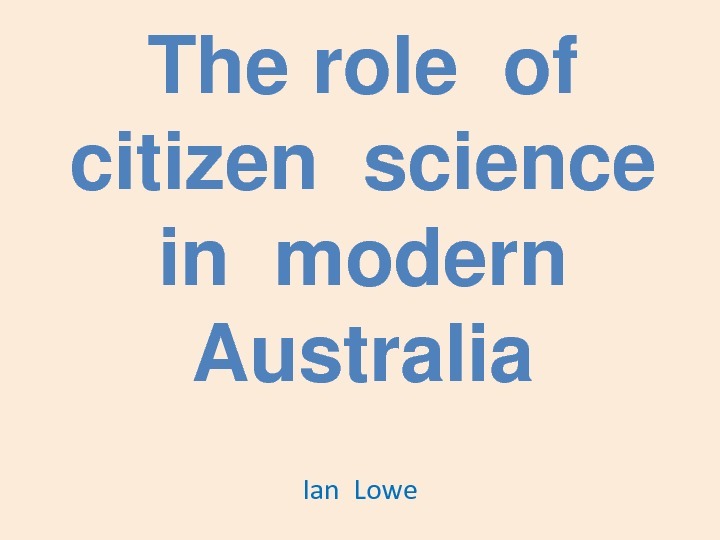 Keynote speaker was Emeritus Professor Ian Lowe AO, who spoke on “The role of citizen science in modern Australia“. Maggie Muurmans described the work of Beachcare, a collaboration with Gold Coast City Council; and other programs of the Griffith Centre for Coastal Management . President Dr Geoff Edwards introduced the Queensland Science Network, which offers a platform for publishing citizen science data and reports that are not destined for peer-reviewed publication in a scholarly journal.